The clock drive for this barograph was beyond repair. I replaced it with a old spare Friez clock drive, which works well. I use it with Novalynx 70201 7 day charts in mb. 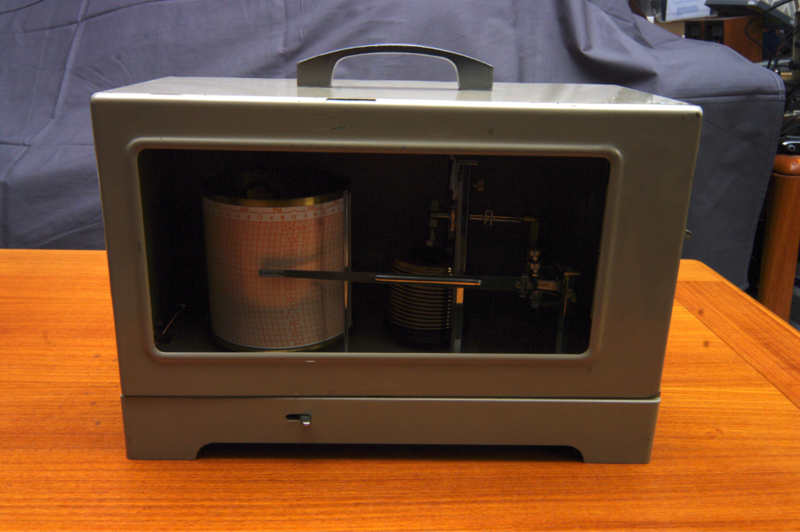 The manual for the 7020 barograph may be downloaded for free on the Novalynx website.